Sure, Windows 8's new kind of applications—formerly known as Metro—aren't up with iPad apps in numbers yet, at only about 5,000 available in the Windows Store compared with 275,000 in the iTunes App Store for Apple's tablet. But there are already some prime choices among them, many with names we've become familiar with on the other platforms. I refer to these full-screen, touch-friendly apps as “new-style,” since Windows 8 (but not Windows RT devices like the Surface) still run all the millions of standard Windows applications. We don't include what may be the most useful apps of all—Microsoft Office —because it comes included with Windows RT and the 2013 version for Windows 8 isn't out yet (though you can get it as a highly recommended free preview). We're also ignoring any of the other very useful apps that come preloaded on all Windows 8 and Windows RT installations—Mail, People, Calendar, Games, Internet Explorer, Messaging, Photos, Music, SkyDrive, and Video. Nor do we consider the included informational apps based on Bing—News, Finance, Sports, Maps, Weather, Travel, and the Bing app itself. We’re also not including games here, though there are many available, from popular casual games like Angry Birds Space, Cut the Rope, and Flow Free, to more graphically stunning options like Adera and Reckless Racing. We’ll certainly get to a Windows 8 Gaming roundup soon. What we wanted to do for this first list was to assemble a collection of apps that can make your Windows 8 PC or tablet productive, creative, and informative. Everything here is free, though some have in-app purchases. Even apps that cost money often offer trial versions—something not available in the Apple App Stores. All these apps run on Windows RT devices like the Surface as well as on Windows 8 tablets, laptops, and desktops. 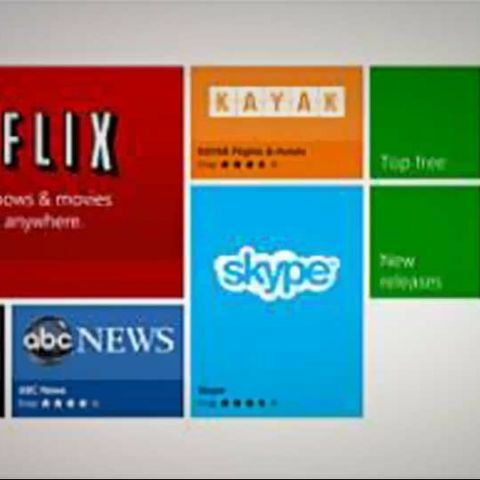 You get all of these new-style apps from the Windows Store, which you’ll find on the Start screen represented by a tile with a shopping bag with the new Windows logo in the middle. Getting apps through the store adds several advantages: They’re all checked for security, installation is a one-click affair, you can install them on multiple machines you log into without paying multiple times for paid apps, and updates are centrally managed, with notifications for apps needing updates. So without further ado, here are our top choices for the budding new operating system. This one is a no brainer. If you want to visit with Grandma without crossing state lines, there's no better choice of app and service. 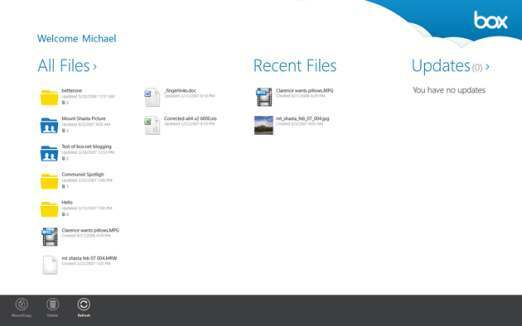 When you first run Skype, it will ask permission to use your webcam and to run in the background. I was a little disappointed that the Skype app hadn't implemented the Search charm, so I couldn't use that to find someone among contacts. The new Skype does integrate Windows Messenger, however. 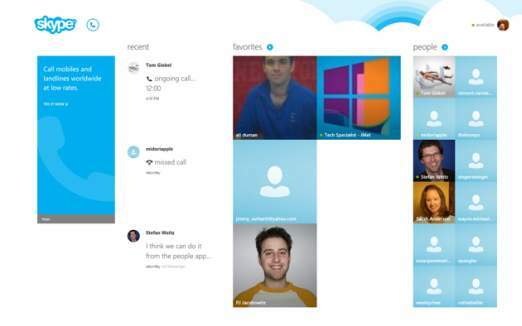 It’s full-screen view of your video-call partner and good use of the Windows 8 touch interface and notifications are a great start, but you don’t get some Skype for desktop features like multi-party calling and screen sharing. If you're running Windows 8 on a touch tablet, there's no better demonstration of the cool types of things you can do with multitouch. Five simultaneous fingers are supported, and you can actually mix new colors on a virtual palette. If you’d rather not start with a blank canvas, “packs” of line drawings and cartoons can get you started. The Fun Pack is free, but the more artistic Variety Pack is a $1.49 in-app purchase, and the Adventure Pack, with its 24 character sketches and Friends Pack of mostly pets cost $1.99 each. For serious couch potatoes who want to keep up with the latest shows, or maybe just for active folks who want entertainment on their own schedules, the Hulu Plus app does the trick. 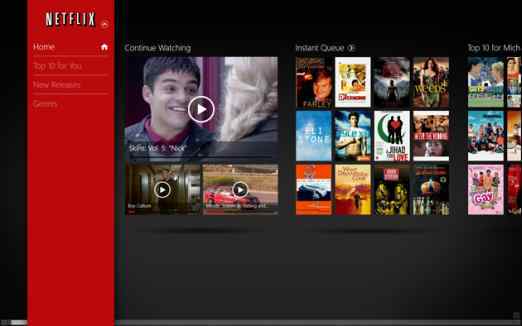 It’s equally well designed as the Netflix app, but it offers more up-to-date television content. You get everything you expect from the service, the ability to view your queue, personalized recommendations, and all the popular genres and trending shows. 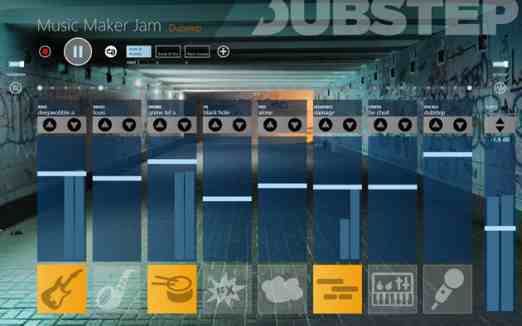 Moving from the visual to the aural arts, this musical app from Magix lets you craft tracks by adding loops for drums, bass, brass, pads, synths, and even vocals. You enable and disable instruments and cycle through varying options for each: For example, your synth can have the organ, filler, brute reverb, be choit, unreal, or royal synth sounds. You can raise and lower the volume, and change keys in loops. A very cool Effects graph lets you apply distortions to your whole combo, in heavy and soft, high and low directions. You can record your workOne downside is that it doesn’t play while running in the background. 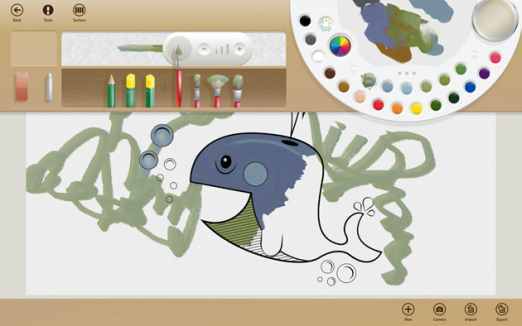 Another app we loved on iOS arrives for Windows 8. Use it to play any Web-streamed radio broadcast on earth. It can find local radio station, has a sleep timer, and can keep playing in the background while you do other things with your PC. Stream categories include local radio, music, sports, news, and talk. And you can search by other locations or find and play podcasts. I only wish the app let me choose a bit rate for stations that offered several, like those from SomaFM, but it shares that limitation with its iOS version. 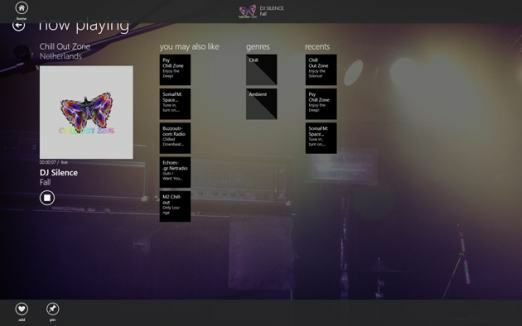 The latter still has a bunch more features, such as the ability to record and favorite what you're listening to. In truth, I'm a Nook user and prefer the way that app works on other platforms, but I know there are plenty of Kindle users out there who would feel highly put out by a platform with no app for reading their chosen ebook flavor. 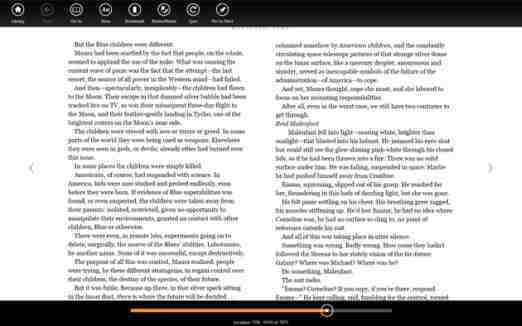 Kindle for Windows 8 shows large color thumbnails of your book covers in Library view in Cloud and Device sections, the latter for titles you’ve already downloaded. True to Kindle form, the app supports WhisperSync so that the current page your reading shows up on any device. You can change font size, background colors, and column number, and you can highlight, bookmark, and write notes. Double-clicking a word brings up its Dictionary.com definition. Unfortunately, the bookstore isn’t integrate; the app links out to the browser when you choose Kindle Store. I was originally planning to include Evernote here, but while its Windows 8 app does let you view, tag, search, and add notes, it’s pretty primitive compared with the OneNote Windows 8 app. OneNote offers apps for iOS, Android, Mac, and PC, and Windows Phone, so you’re covered when it comes to devices. 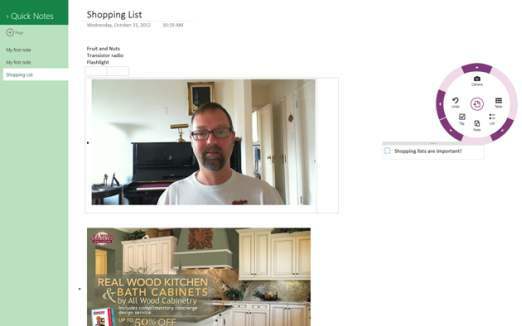 An insertion wheel lets you add a table, tag, photo, list, or paste to your note. I use this app to take notes at all my vendor meetings, and since I log into the same Microsoft account as on my Windows 8 machine, all my notes were available. I could even play my recording of the meetings, but playback wasn’t linked to text as it is in the desktop version. Also the productivity veering on business vein, Box (formerly box.net) is an increasingly popular tool for collaboration on work files. It integrates with Salesforce.com and Google Docs, and lets users share online “workspaces.” It also lets users assign tasks, post comments, and can notify you when a document involving you has been edited or commented on. With Box, anyone can get 5GB of free online synced storage, and apps are available for all the major mobile and desktop OSes. No tablet platform is complete without a Twitter app. Windows 8’s included People app does show you Twitter (and Facebook updates),but it’s not as useful as Twitter’s own app for other platforms like the iPad. Until Twitter itself releases a Windows 8 app, there are several choices, among which Rowi stands out. 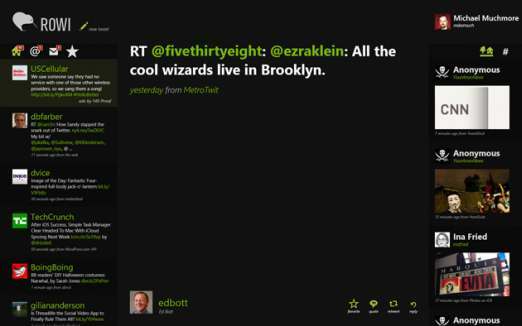 It uses a very clear three column view, with a huge space for the tweet you’re viewing in the center. On the left you choose whether to view newsfeed, interactions, directs, and favorites. On the right you see your images and can switch to trending topics. The app lets you use the Share charm from other apps to post tweets, and pops up notifications for new tweets. 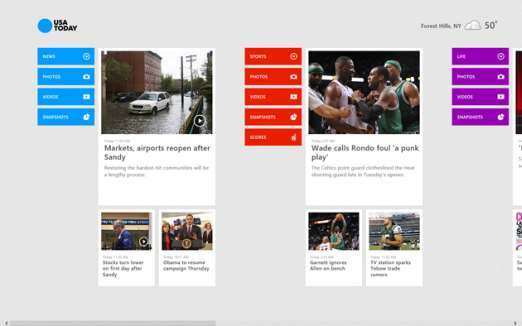 Of course you could just browse news sites on your Windows 8 PC’s web browser, and there are apps for many leading large papers, but USAToday stands out for having created a well-designed, reasonably rich, touch-friendly news app. You scroll through sections for News, Sports, Life, Money, Tech, and Travel, each with buttons to call up relevant photos, videos, and “snapshots” or infographics. For Sports and Money, sections are added for scores and markets. Your local temperature and weather icon appear at top right, and clicking this opens a map and ten day or hourly temperature and precipitation forecasts.